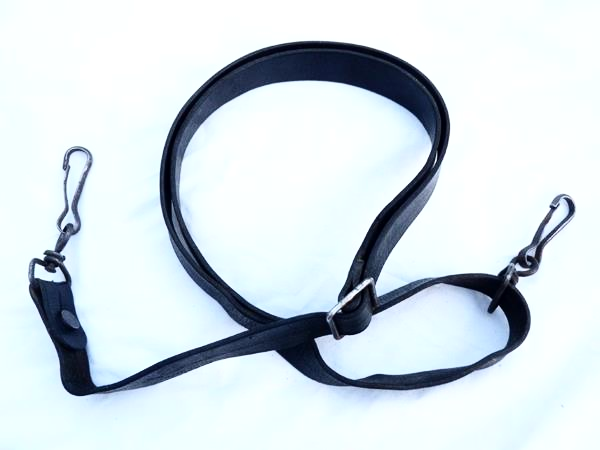 Strong Leather sling with steel hook attachment black or beige. 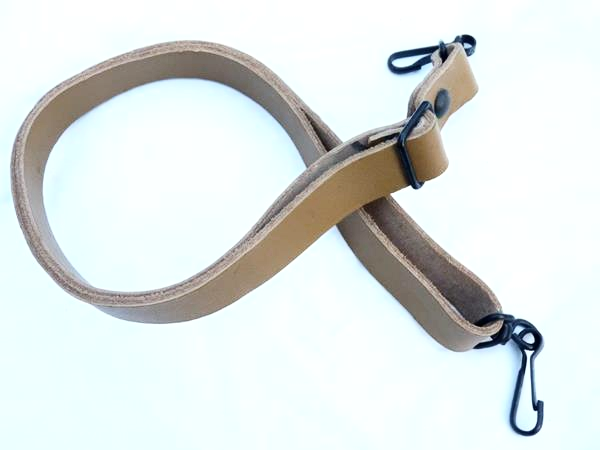 Strong Leather sling with steel hook attachment, black or beige. 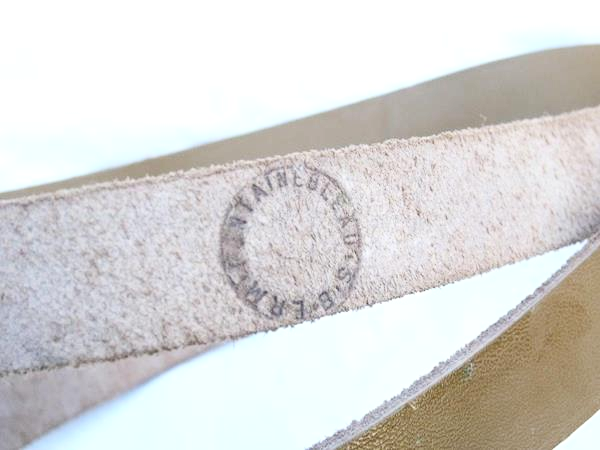 This is a high quality leather sling available in either black or light brown/beige. It is approx 25mm or 1 inch wide, and has a minimum length of 80cm or 31 inches. 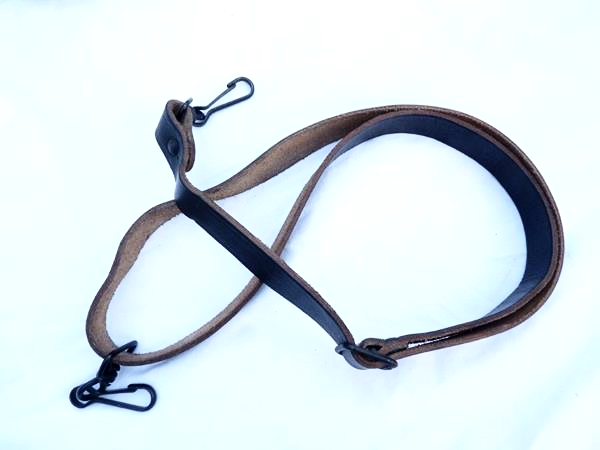 The hooked ends can be removed easily, and the leather sling threaded through sling points rather than hooked to them, shortening the sling to 65cm or 25 inches. Max length is almost double the min length. The black ones are available as 'new' or 'used' depending on the 'look' you want. The brown ones are only available as new. Please state preference when ordering. They look great on AKMs, Thompsons, Stens, PPSs, PPShs, in fact almost any SMG.